The value of ECM goes way beyond scanning. Your solution should have the ability to capture all your important content, paper, electronic and data in one system. Your ECM solution should preserve the native file type, rather than standardising all your files to one proprietary format. This would limit what you can do with your content in the future and inhibit your use of the capabilities within the applications that created it, such as Microsoft Word, Excel and CAD to name a few. Your ECM solution should provide you the flexibility to capture high volumes of documents right on location, saving you the cost and time associated with transporting them. You should never have to ship documents to a centralised location, just to scan them into a system. That’s what the internet is for! The most expense in your organisation comes from your people, not your software. Every document you import needs to be classified and indexed. Your ECM vendor should be able to provide multiple, cost-effective options to help reduce this manual task. Your ECM solution should not introduce significant additional manual work just to get the documents into the system. Personalised. The ECM software must be intuitive. The ECM interface should allow personalisation to accommodate the preferred work style of each user. When your users have ability to personalise the interface, putting the documents, forms, business processes and reports that are important to them right at their fingertips, they can work more efficiently. Integrated. Your users’ primary application is often something other than your ECM system. When they need to access the content from their ECM system, related to the information on their screen, they should not have to juggle between two applications. Ensure that your ECM system extends to your other applications such as Outlook, SharePoint, Office, ERP systems, and all your other critical applications. Offline. Do you have road warriors challenged by inconsistent and unreliable network access? Ensure that your ECM system will give them the ability to capture photos, retrieve, create and update documents and forms. 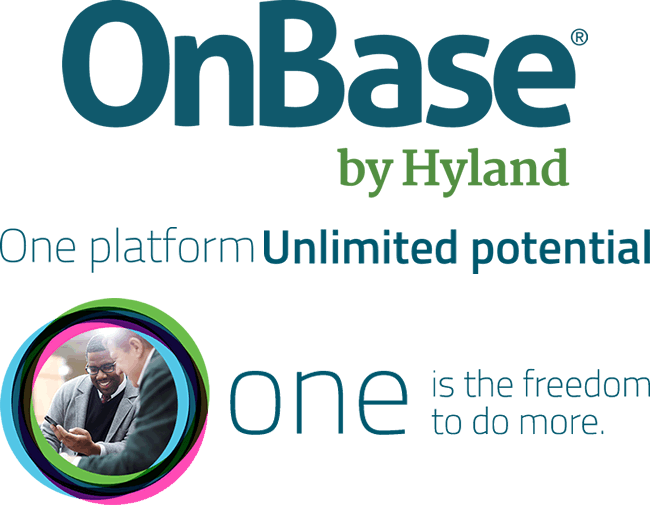 You eliminate the time and energy spent on entering data when back in the office because all the information automatically synchronises when connected back to the network. Extended. It’s great that YOU can access all your information, but what about your customers, constituents and students? Improve your customer service by allowing your customers to submit forms, track their status and access documents online. You also eliminate time and money spent printing and mailing documents and forms. Your ECM solution should be able to integrate with ALL your critical applications. By integrating with your other applications, this eases the transition to the new software, eliminates switching between screens to find the right information and eliminates error from manual data entry. Not require any customised code. Your ECM solution should be able to quickly integrate with your other applications. This should take hours, not weeks or months. Some ECM products rely on custom code to create their integration points. Custom code is expensive, takes a long time and has to be revisited when either application is upgraded. Do more than retrieve documents. While it is extremely valuable to be able to retrieve related documents and information right from within another applications, look beyond document retrieval. Ask why your users are retrieving those documents. They are typically retrieving documents to answer a question or research an issue. An ideal ECM solution would provide the ability to make your users even more efficient by automatically filling out E-forms, launch workflows, print barcode cover-sheets and dynamically compose documents, such as offer letters and policies. Synchronise data real-time behind scenes. The information stored within your ECM system is related to transactions and data in your other systems. Ensure that your systems to remain in sync, real-time with a two-way data exchange. This eliminates duplicate data entry and is vital to ensure consistent decisions regardless of the system the user looks in. 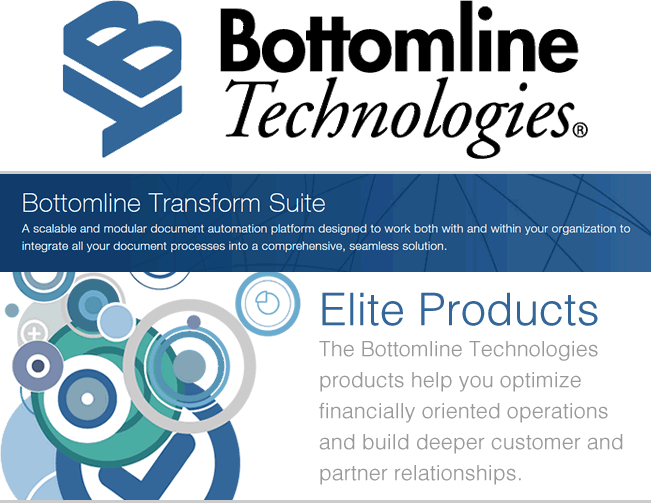 Bottomline’s Transform Suite is an enterprise class solution that automates and streamlines the customization and delivery of your documents as well as the filing and retrieval of them. Comprised of Transform Output Center and Transform Content Center, the suite provides dynamic formatting, personalization, and delivery of native ERP output documents to transform previous costly design changes into simple tasks that can be implemented without third-party consulting services. In addition, it automates and streamlines the labor-intensive, manual processes of sorting, filing and retrieving your business’ most critical transactional documents, payments and related files.